So we made a list… here’s an A-Z of just a few of the things we do! 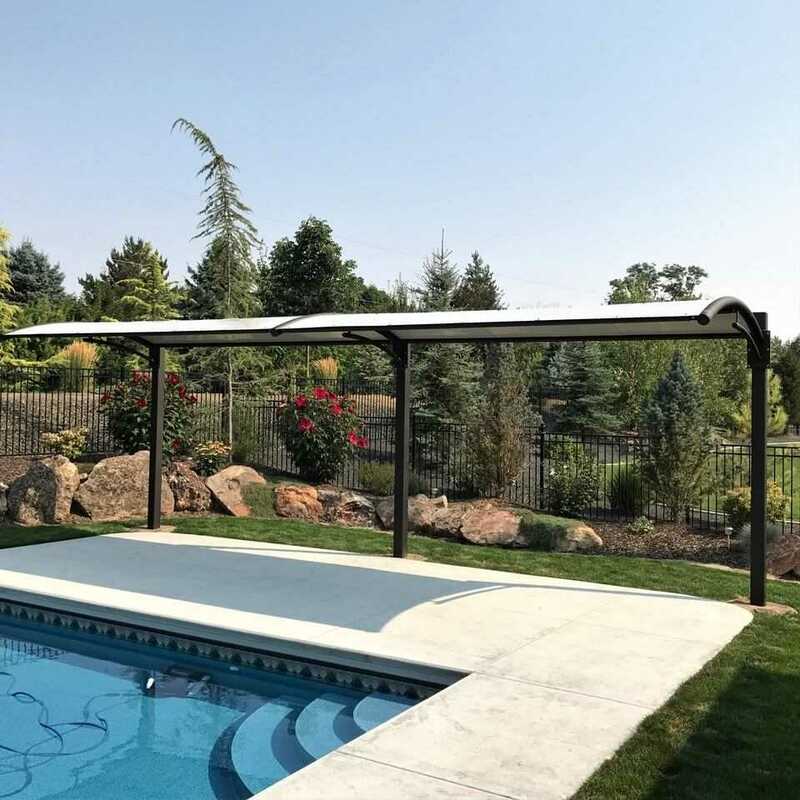 We created this custom arbor for a home in the historic district of Boise, ID. The inserts are rusted panels of CorTen Steel. We love the rustic look it gives this classic home! 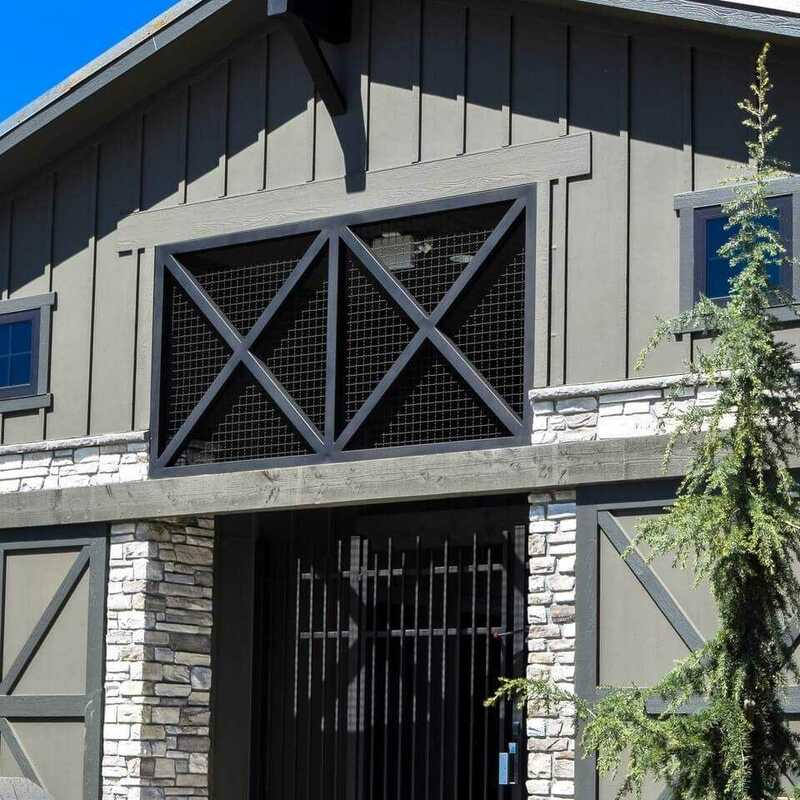 This one-of-a-kind barn door is 100% steel! We designed and fabricated everything in-house… Including the track & rolling hardware! Cladding is the process of adding sheets of steel to cover a structure. We cladded Alturas Home’s receptionist desk with blackened steel! We fabricated these monster doors for one of Paradigm Construction’s Parade Homes. These doors stood 102″ high, 96″ wide and each door weighed over 400 pounds. A challenge we were proud to accomplish! We do fireplace surrounds too! 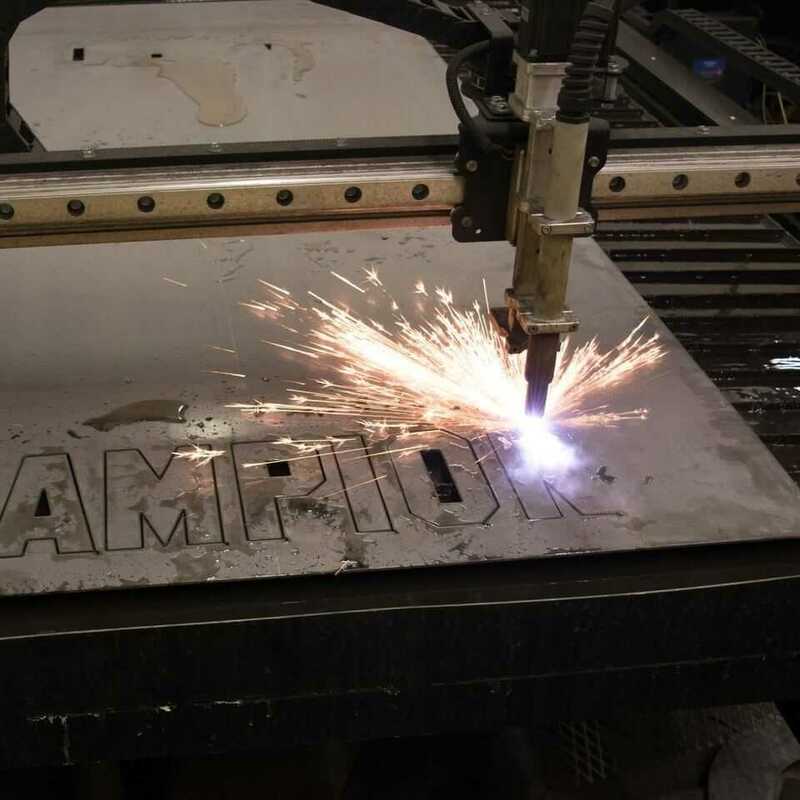 Each surround is custom-cut using our CNC machine. Then, we blacken the raw steel to add depth while keeping all the character! 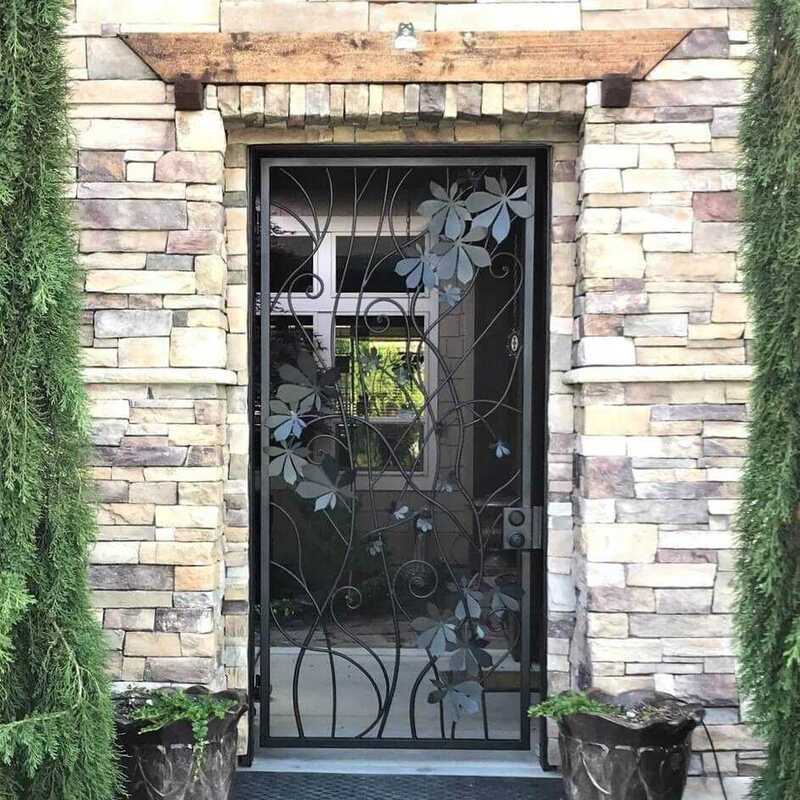 Most people associate “metal” with industrial, commercial, boring… This gate proves that metal can be organic & beautiful too! Gates are the first impression of your home- make sure it’s good one. Kitchen Hoods! We love the blackened steel hood in this kitchen. It’s the perfect bit of “farmhouse”. Check out the matching floating shelf brackets too!. Our company was founded in the great state of Idaho and we are proud of it! We design & cut “Idahome” signs in our shop too. Perfect decor for the Idahoans! Check them out in our shop- we have 6 different designs. J – Just ’bout Anything! 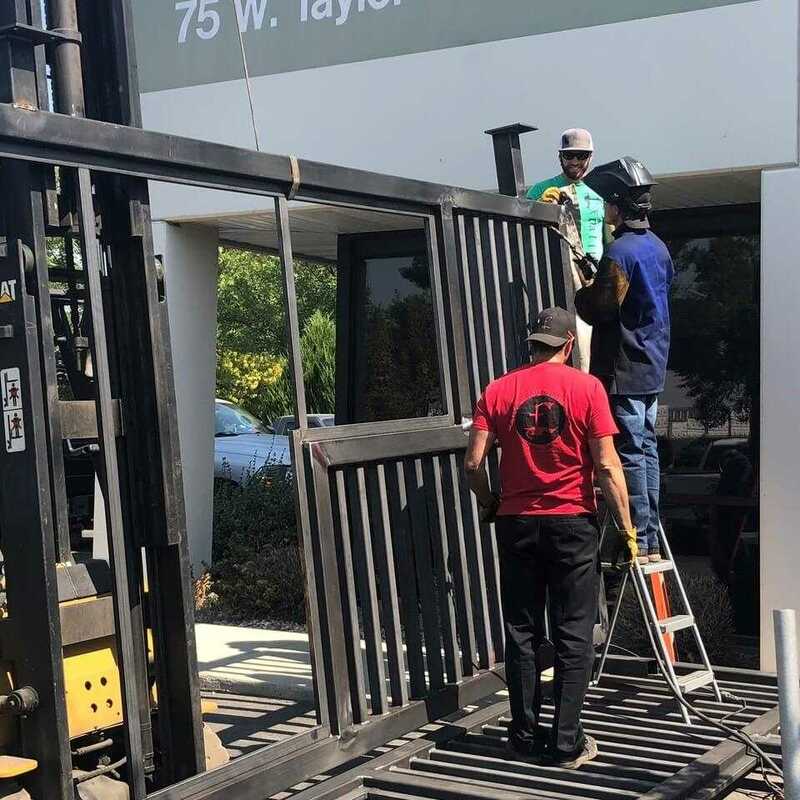 Our team can do just about anything metal-related. There is no project too big or too small! Finding the solutions to challenges is our favorite part of the day! Did I mention we build furniture too? Yup! 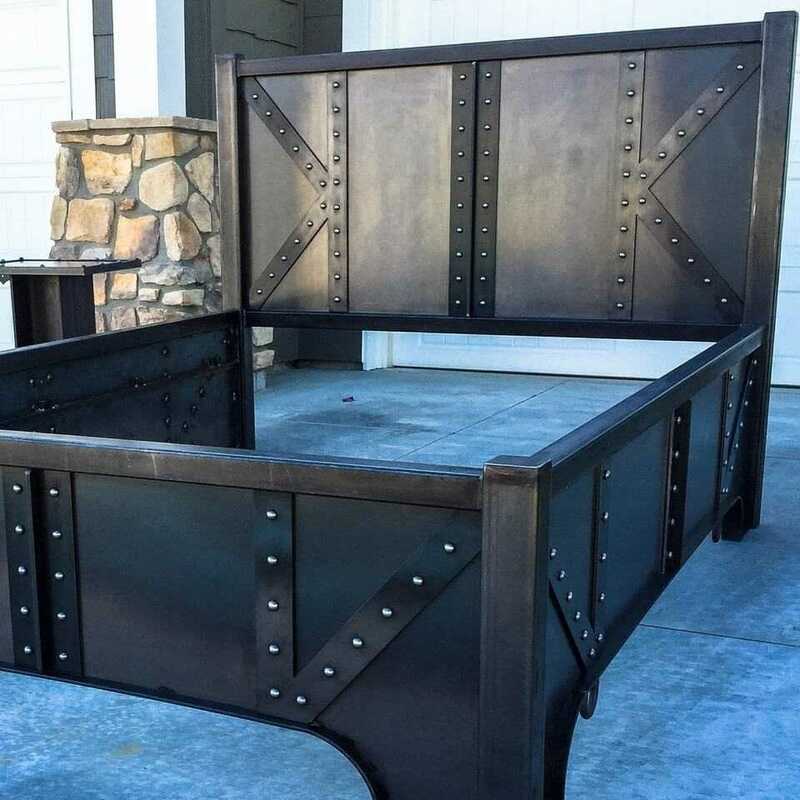 You could drive a truck over this heavy-duty king size bed frame! Arguably the strongest material you could build table legs with is steel (duh). Our blackened steel legs are popular with everything from end tables, coffee tables, and desks! Everybody needs a little motivation sometimes (especially on a Monday!) 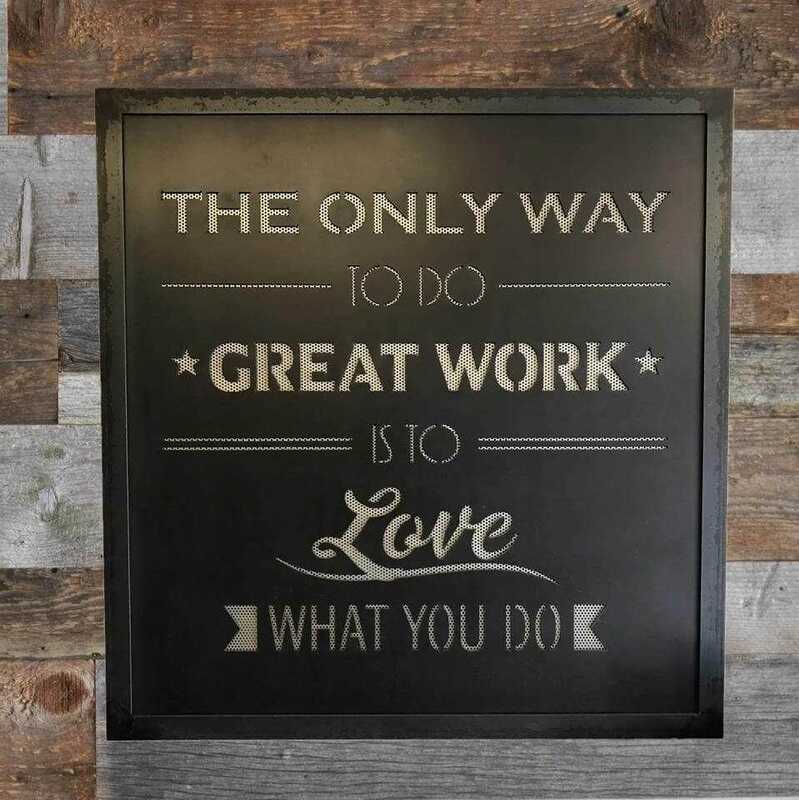 We can custom cut whatever quote inspires you! This one is hanging in our office. A client of ours was missing New York City- so we brought the skyline to Idaho! 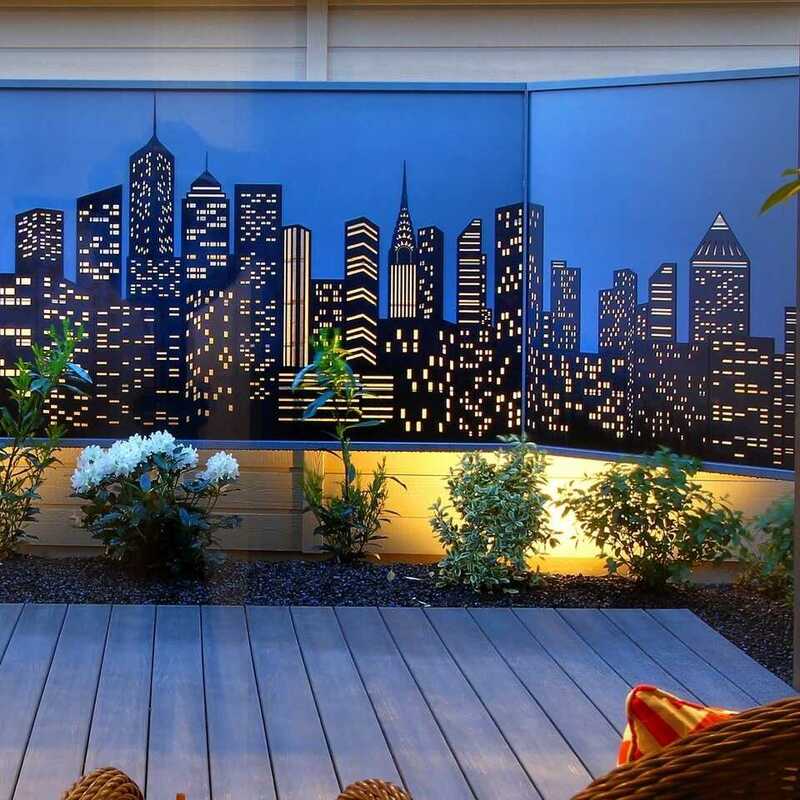 We created this 3D yard screen with the help of our talented designers& the trusty CNC. This organizational board keeps our office running. 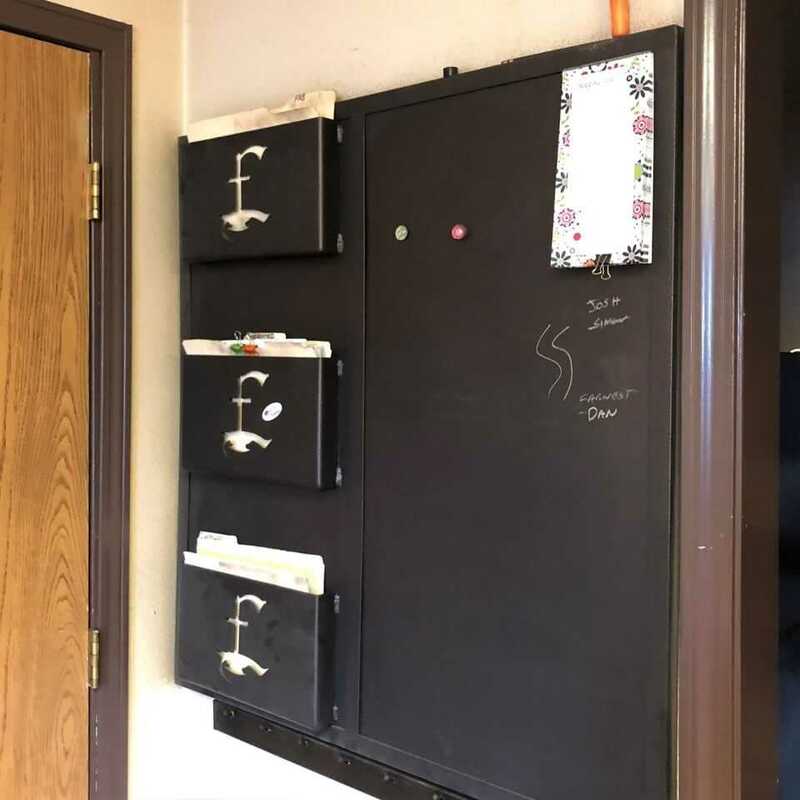 We customized it with our logo on the file folders and left plenty of room for scribbling notes & keeping track of everything. Patio getting too hot during summer? Difficult to enjoy your pool? We designed & fabricated these pool covers to provide some shade. Each one is custom made to fit in the homeowners backyard. The quality of our work is what our reputation is built on. We always stand by our designs, fabrication methods, and installs. It’s what sets Excalibur apart from the rest. We did the cladding on this receptionist desk, as well as the frame for a piece of epoxy art! 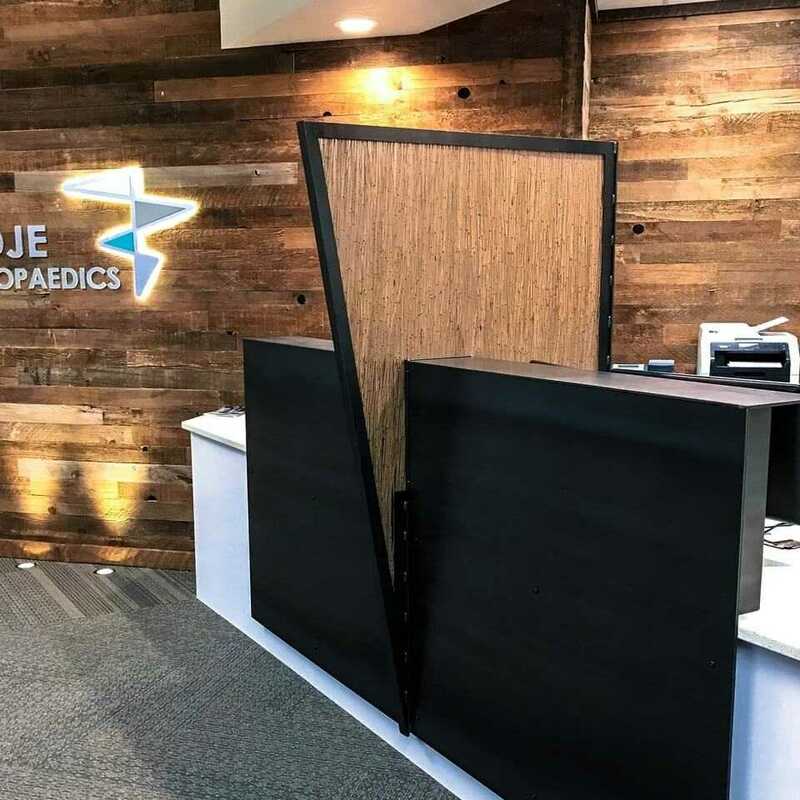 It’s the perfect divider for a medical office. 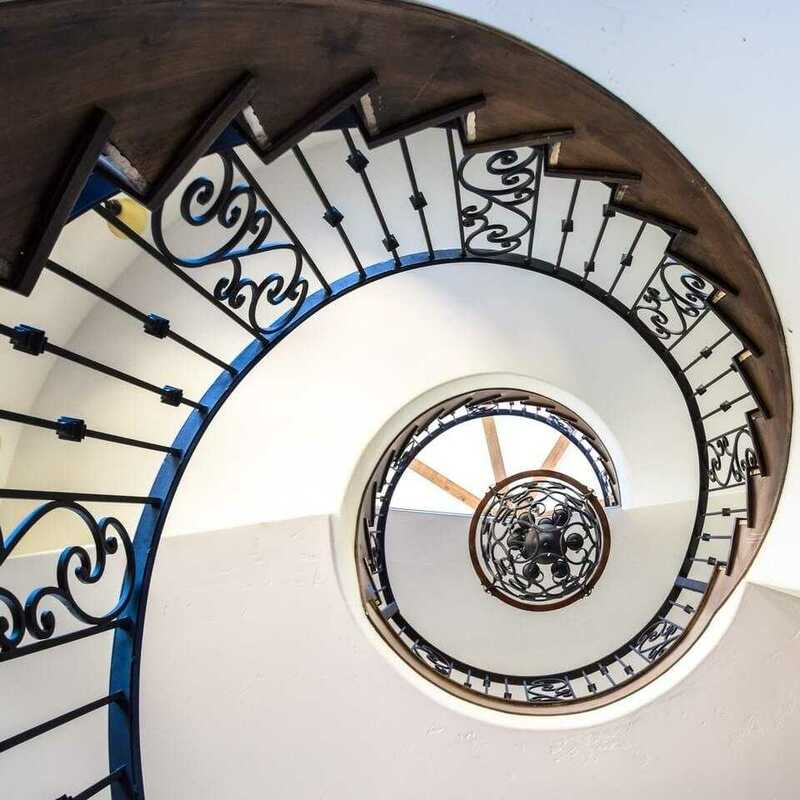 This spiral staircase was a feature in another Paradigm Construction’s Parade Home. It was 3 stories tall! 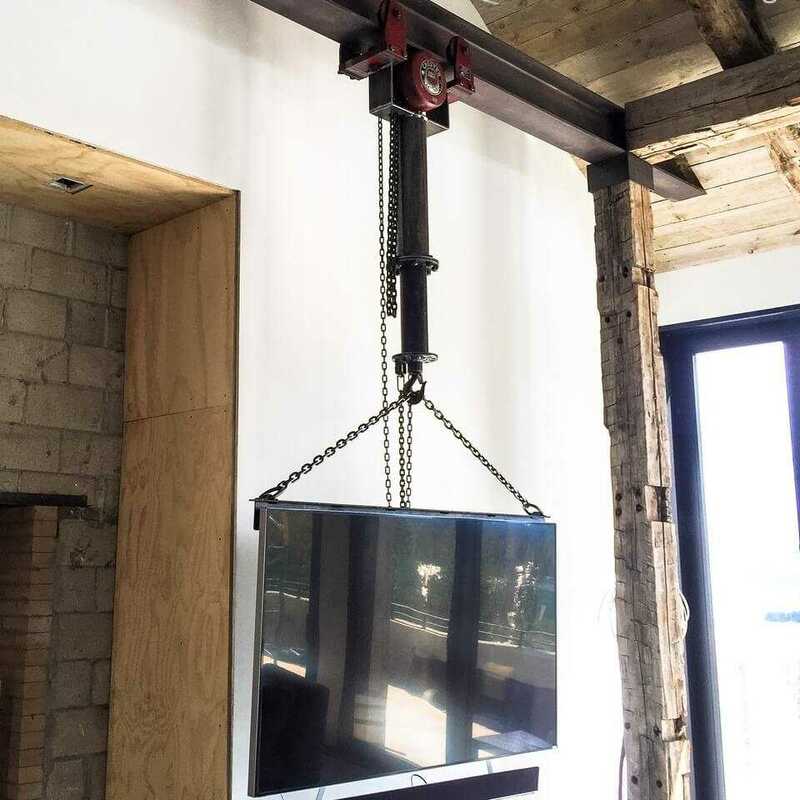 We created this TV trolley & chain hoist for a client who wanted it to resemble a water pipe! We used rounded steel and chains to hang the TV so they could slide it across the living room. It rotates a full 360 and can be hoisted vertically. Understanding our clients wants & needs is crucial in our design/build process. 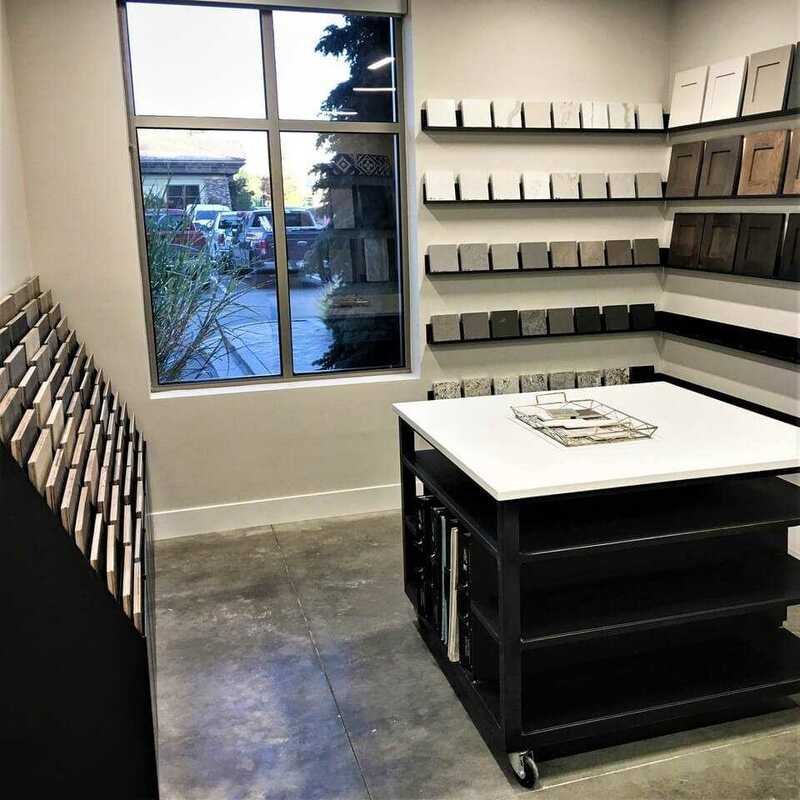 We worked with Alturas Homes and their designer to create several displays for their showroom! Yea, we can build you a vanity too. 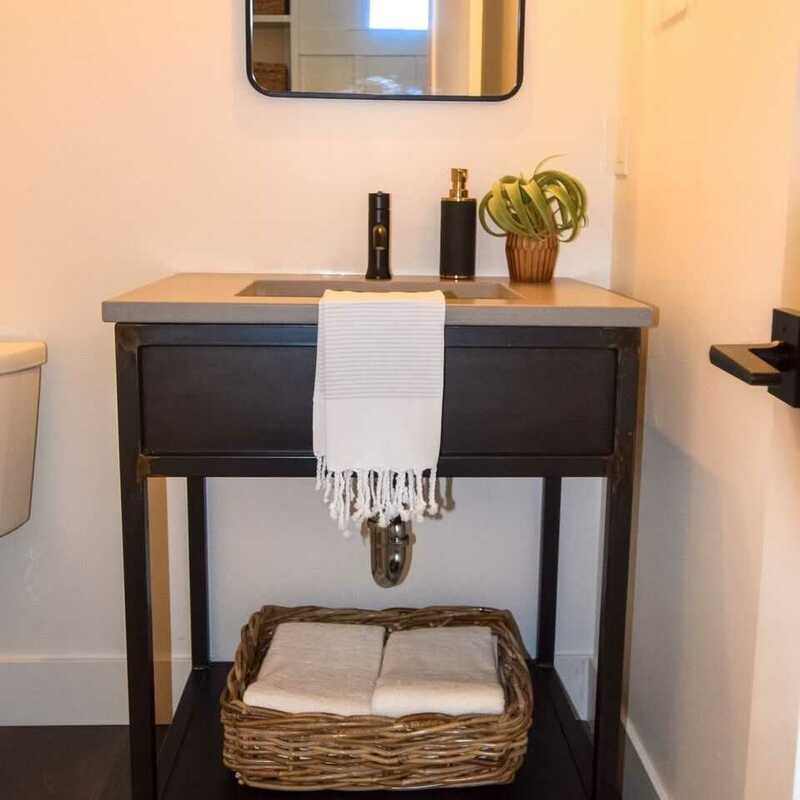 This steel sink vanity will last for years and years to come. We blackened the steel and then clear coated it to prevent any rust! Idaho drinks more wine (per capita) than any other state in the U.S.! It makes sense that wine cellars are popular features in custom homes. 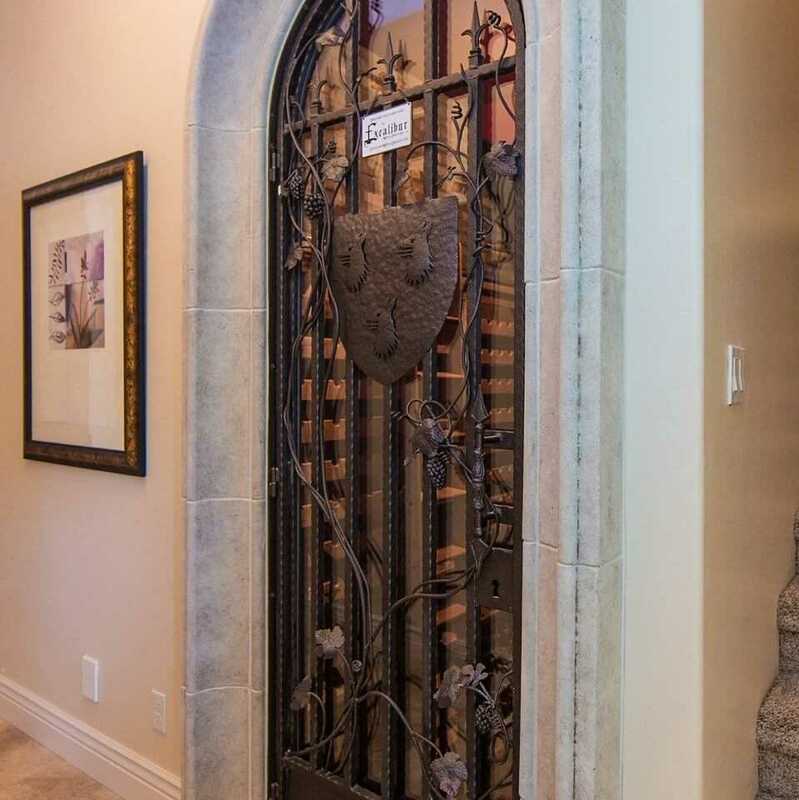 We made this door for one cellar that featured the homeowner’s family crest. 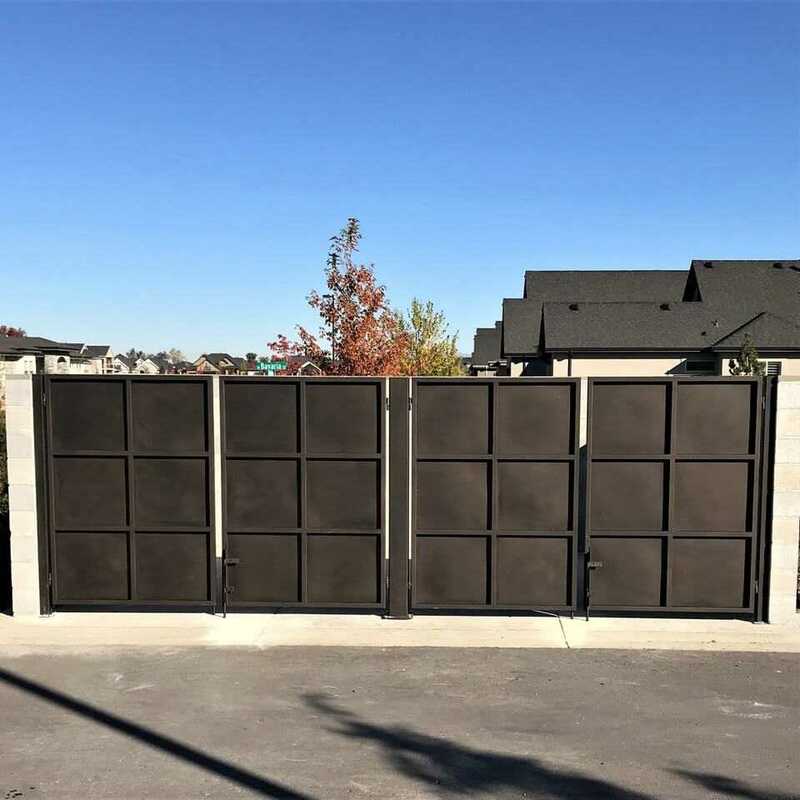 These X-Frames can be seen in subdivisions across the Treasure Valley! They are part of a barn-style pool house. We are honored to work with some of the biggest developers, including Brighton Development, to create places people love to live. 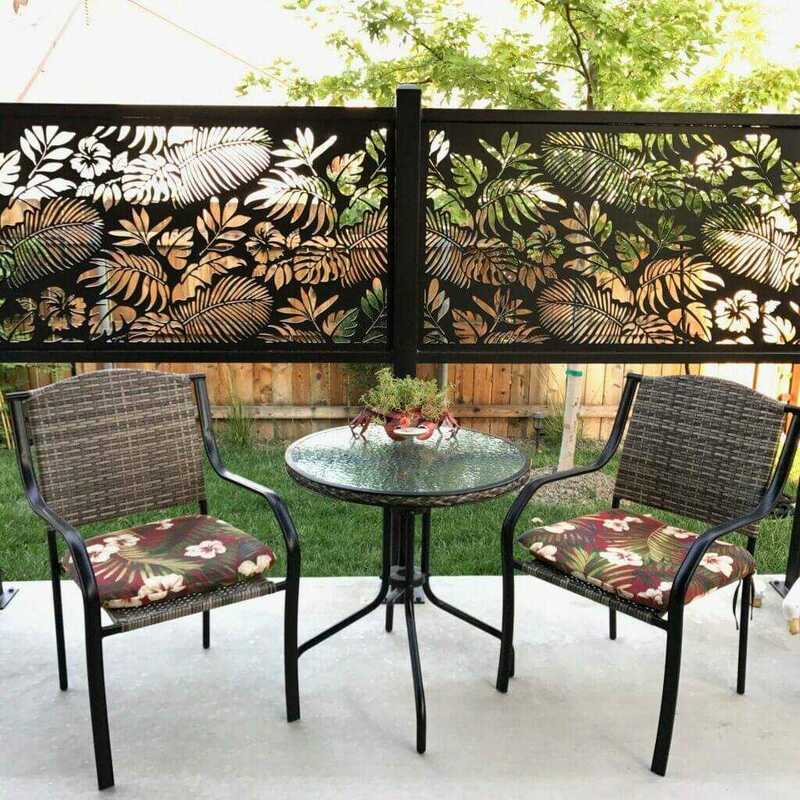 Yard screens might just be some of our favorite projects because of all the room for creativity! It’s always fun to combine personality & functionality to create something unique for a homeowner’s yard. We actually designed these massive gates for a new development. They wanted something to hide the trash bins and keep them secure. But, we think they would make awesome zombie barriers if the apocalypse ever comes!